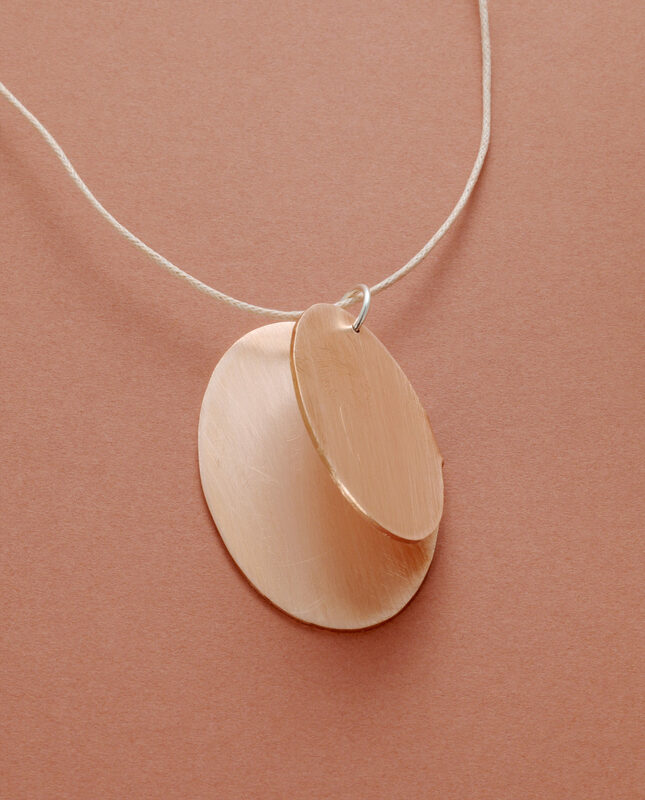 Helena Lehtinen is a Jewellery artist working in Lahti. 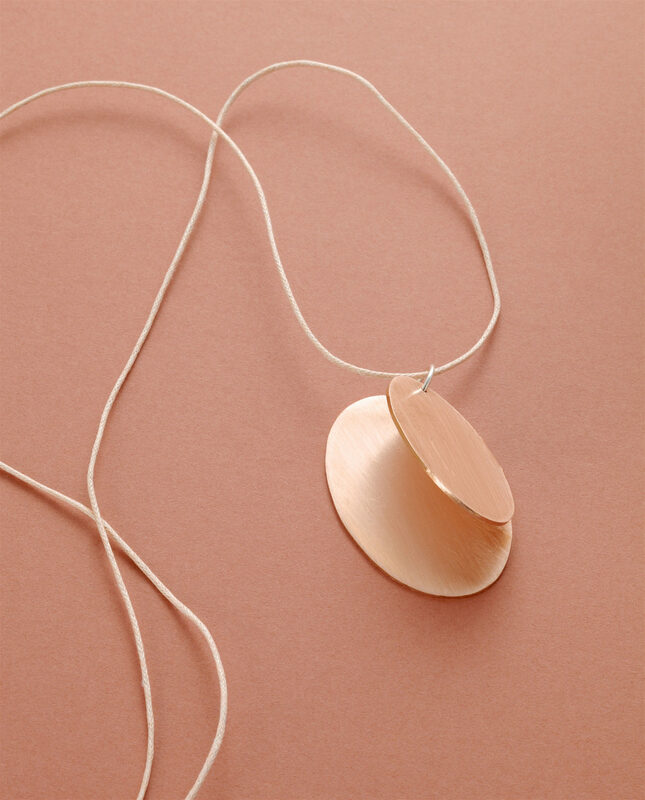 Her copper locket pendant comes with a adjustable cotton string. The copper will tarnish and become characterised by the wearers individual usage. All pendants are handmade and individual in character.